Frame farm which is situated in Kent’s High Weald area of outstanding natural beauty is owned by Tim and Deana Maw who have transformed the old and derelict Grade II listed barn into a lovely venue to provide a setting for weddings, parties and events with every convenience for private or corporate clients. The two barns are surrounded by 25 acres of farmland. 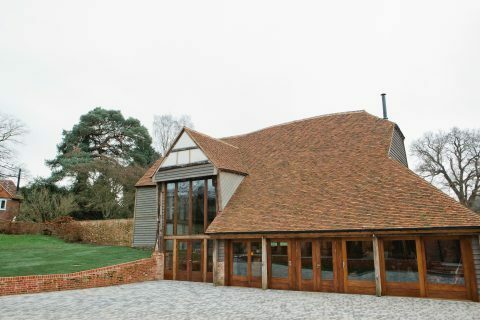 The Oak Barn and The Byre have been restored to offer state of the art facilities, beautifully incorporated into the historic fabric of the buildings. We were delighted to be invited by a local Architectural Practice to meet Tim in November 2017 and we worked with him and his other contractors to scope out the space from a point of view of audio equipment and installed the systems in a manner that gives them a very useful set of facilities that can barely be seen but which do provide a high quality sound system for both barns. The equipment fitted to both barns was primarily from the Bose range of Speakers and signal processing devices.